We proudly offer Perlick commercial-quality outdoor refrigeration products. 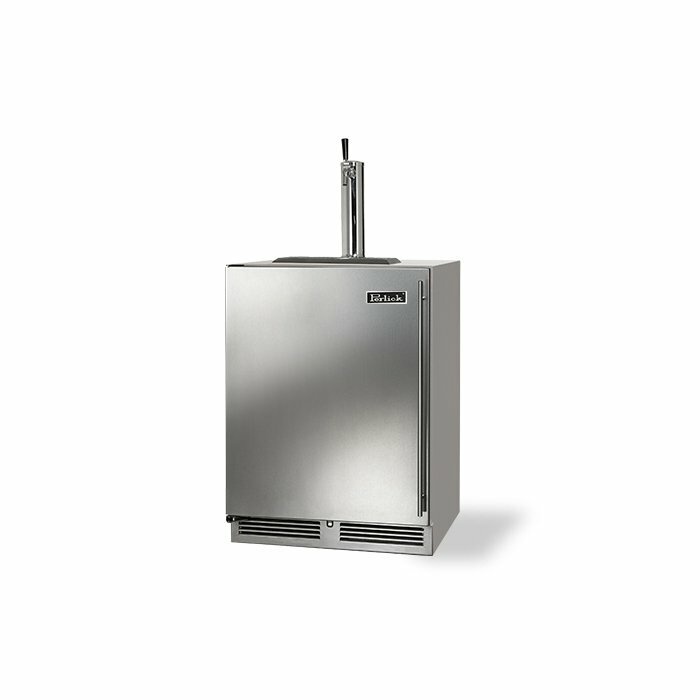 Featuring stainless steel interiors, high-performance refrigeration systems and impeccable craftsmanship, Perlick provides quality refrigeration for your outdoor kitchen. 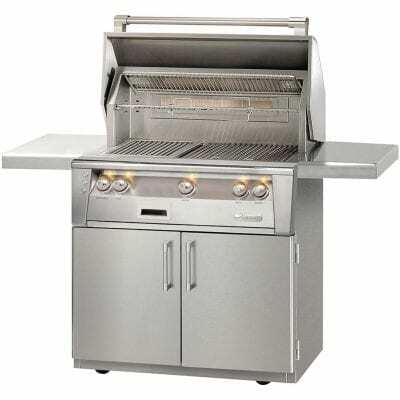 Upgrade your outdoor kitchen with with ability to serve ice cold draft beer. 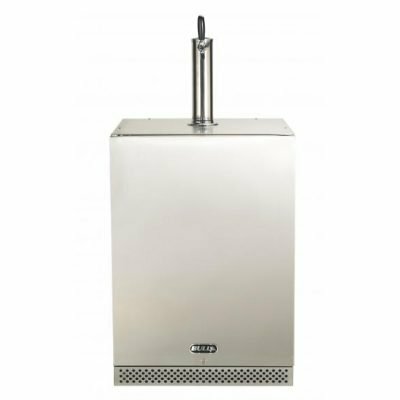 Inspired by Perlick’s award-winning commercial dispensing equipment offering, you can trust the Perlick 24-Inch C- Series Beer Dispenser to pour the perfect cold beer, no matter what the outside temperature. Not a beer drinker? No problem- any Perlick home beer dispenser can easily be converted to a cold coffee dispenser with accessory iced coffee dispensing kit. Designed by veteran Perlick engineers, Perlick’s Flow Control Beer faucet is constructed of food-grade 304 stainless steel – an industry exclusive. Because no two craft beers pour alike, the lever on the side of the faucet can be adjusted to accommodate the carbonation of any variety of beer. Taper the lever downwards to properly pour highly carbonated beers like Hefeweizens, or adjust upwards to pour standard lagers. 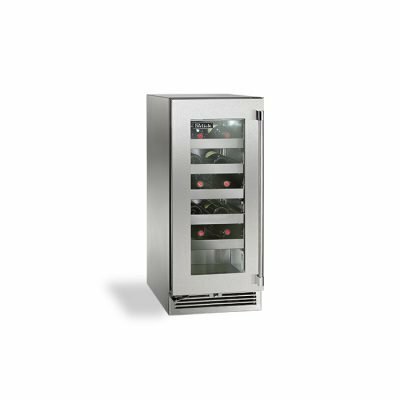 The Signature Series features Perlick’s exclusive RAPIDcool forced-air refrigeration system, providing industry leading cooling performance. 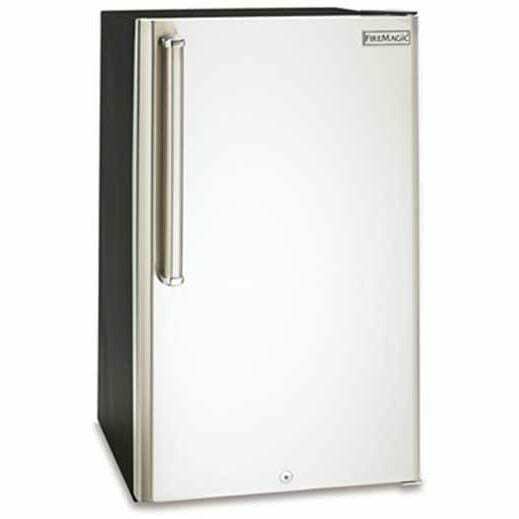 Insulated walls also help keep cold air in the refrigerator. Unmatched cooling performance also keeps your products cold no matter what the forecast calls for. 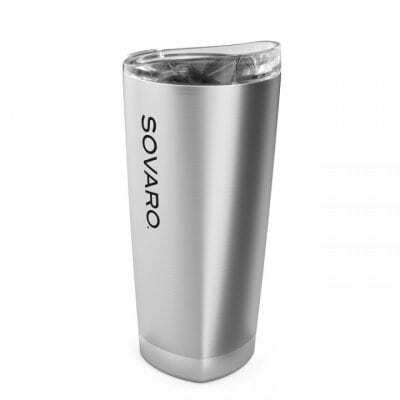 Available with Single Tap or Dual Tap system. Doors are available in left or right hinged configuration.